Industries: construction; container weighing; extreme sports; heavy lift; line tensioning; logistics; marine; oil and gas; stage and event rigging; shipping; testing; towage and salvage; utilities; defense; and more. 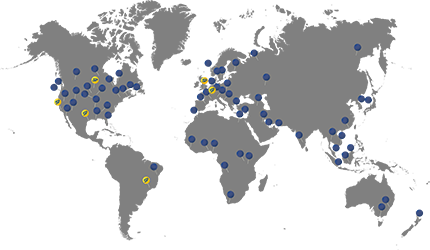 The products that SP produces are developed using the latest cutting-edge technology and materials. By pushing the boundaries, we can continue the endeavor to further decrease risk and increase safety in heavy load lift situations. 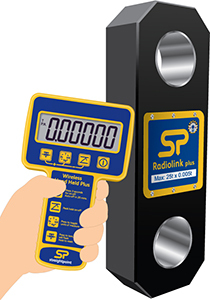 SP continues to lead in innovation by launching the first worldwide off-the-shelf wireless center of gravity system and is the first load cell manufacturer to incorporate RFID tags in all its ‘link’ load cells as standard. Recent innovative releases include ATEX & IECEx zones 0, 1 and 2 approved wireless dynamometer and running line dynamometers. SP is the only manufacturer in the world with load monitoring / measuring products that are certificated to be used within hazardous gas environments found mainly within the gas, oil, and manufacturing industries. The original digital dynamometer tension load cell has been serving the load testing and force or weight measurement industries since 1979. 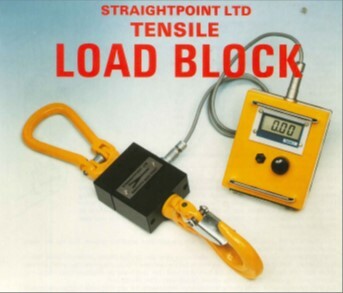 Decades of development into this product include many standout features, such as the unique strain gauging method that helps compensate for wire rope torque when our load cell is loaded. These load-monitoring systems are available in telemetry wireless (RLP), self-indicating (on product electronic display, LLP) and cabled non-indicating (WLP) versions. Ruggedly built and highly accurate load link style load cell dynamometers allow for force and load monitoring across a broad range of industries and applications. Prime usage example: Load monitoring of the water test bags for dockside lifts that involve cranes, derricks, davits, winches, and virtually any other lifting equipment or load-bearing applications. Straightpoint are Making the Lifting Industry a Safer place.